If it is piloted by Launchpad McQuack it's very likely to go down in flames. Practically everything he flies ends up kerjiggered! It must come from the same genre as most American movies, the ones where the car crashes and INSTANTLY bursts into flames or explodes violently. There's an effort on TV Tropes to document those instances! You wouldn't catch me travelling in of those, oh no! Can't remember which movie it was (James Bond?) where a perfectly intact car goes over a cliff and bursts into flames mid-air before hitting anything on the ground. How does that work then? Is there a weight-on-wheel switch on each shock absorber: four zeroes and the spark plug in the fuel tank gets energised? It's almost as good as those war films where somebody throws a hand grenade (2.5 oz of explosive) into an empty brick building and a massive fireball results: WHAT'S BURNING? I know Mythbusters investigated shooting at the petrol tank of a car and I think they also drove some off cliffs to see if they explode. Of course, being experienced moviemakers they would have already known pyrotechnics were involved. Why don't cars in movies explode when they hit water from height? Surely the impact would be as great if the fall was enough. around 25 years ago, I was an active member of the shadowrun message board, and the cars, fuel tanks, and explosions thing came up. ( this kind of thing being very cyberpunk,) One of the US members and some friends, did ( we were told) extensive research, ( they and some friends, spent a weekend using various fire arms they had access to, some old cars, and various fuel volumes ) and couldn't make it happen. the remote squib / detcord and a bottle of fuel was all that it could be attributed to, the Mythbusters episode merely gave secondary research and conformation. the true validation is fortunately something that can be seen after most road accidents, crumpled metal but very, very rarely scorch marks. After all would we drive or ride if cars did that on a regular occasion ? ...would we drive or ride if cars did that on a regular occasion ? We (humans) regularly drive drunk and break the speed limit because "it won't happen to me". In fact I suspect if one looked into it then one would find that the reason more people don't speed or drink drive is not the fear of death but the fear of getting caught. I'm a firm believer in the "spike in the middle of the steering wheel" theory of road safety. Maybe if cars were prone to explode on impact then I might get less people tailgating me. the spike in the steering wheel method is one im not certain id use, I like to think more of my fellow man than that, ( alas my statement above shows my contradictory feelings). I try to learn from the mistakes of others, and not have to repeat them myself, and the one thing that brought this home to me was just after I passed my driving test during 6th form, some one I respected well told me " congratulations on passing, and remember you are now in control of a lethal weapon " It crystallised things perfectly, a lot of freedom, and a equal measure of reasonability, both for myself, my passengers, and those around me. Drive an Austin-Healey 3000, they're totally lethal from that point of view. The steering box is mounted right at the front of the chassis, in front of the radiator even, and the steering column is one long, straight bar that's pointed directly at the driver's chest. That's the prime reason the car was withdrawn from the US market in the mid-60s, there was NO way it would pass their safety regulations. Rivets? We don't count no stinkin' rivets! Pineapple is a great pizza topping. Fight me. Strange, I never realised the Maus had a Pz IV turret ? I have a fairly well-tested theory that the instant a helicopter appears on screen in most action movies, you can start a timer until when it'll go down in flames, usually in some implausibly over the top fashion. Same with any monster movie where an airstrike is called in. Apparently in the movie world, aircraft are not equipped with standoff weapons, and only their internal guns. But usually monsters are cold blooded, so an heat-searching missile would not recognize them, and I don't think a radar-head one would find them either. 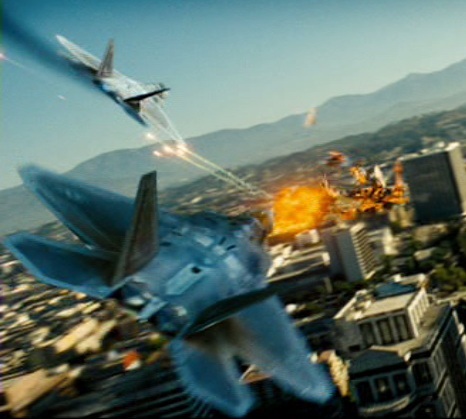 Heck, even in the first Michael Bay Transformers explodathon movie, the responding F-22s were engaging Starscream with M-61s. Granted, the logic is that its more...visually exciting. Same discussion happens with Wars nerds and snubfighters. Same discussion happens with Wars nerds and snubfighters. Actually, it's quite simple, really. With SW snubfighters, proton torpedos and concussion missiles work best against large vessels, while lasers are used against snubfighters. 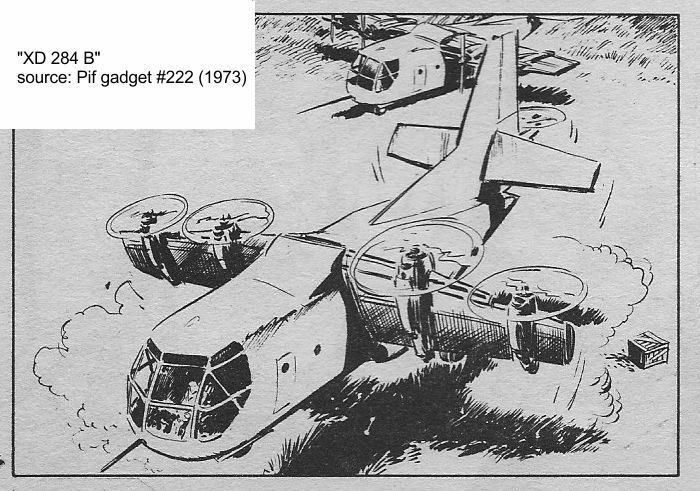 I found this VTOL cargo with tiltwing in an old French comics, is this a XC-142 or imagination?